Product prices and availability are accurate as of 2019-04-18 07:34:08 EDT and are subject to change. Any price and availability information displayed on http://www.amazon.com/ at the time of purchase will apply to the purchase of this product. 1?The Apptoner compatible toner cartridge is the best economical choice for your printers. 2?What IF I have trouble? Any question or help before or after order, pls feel free contact us via email or Q&A,we will answer ASAP. If the problem is a bad cartridge we will either replace it or refund your money. We will try our best to resolve your problem and give you a value deal. 3?What steps are taken to insure a quality cartridge? 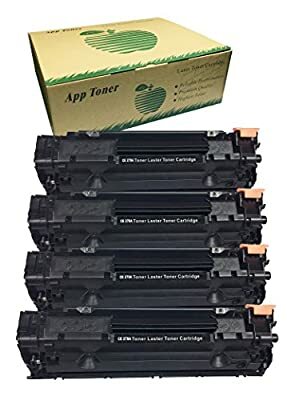 Rather than just replacing the most common components inside the cartridge, we REBUILD the entire laser toner with the highest grade toner, drum, wiper blade and other materials. A proven 15-step process is used to produce identical or superior quality to the original equipment manufacturer. Your satisfaction is Guaranteed 100%. this is a compatible replacement product only,this is NON-OEM. 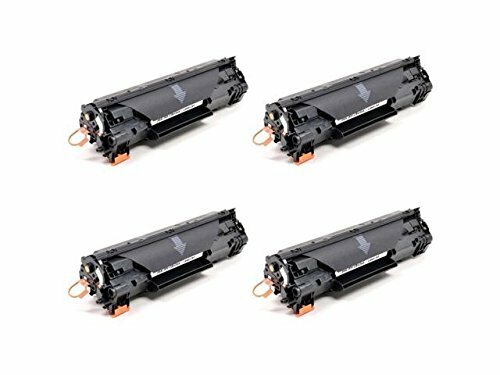 Package Contents: CE278A /CRG-128 Toner Cartridge (4-Pack , Black) Print Yield : 2,100 pages at 5% Coverage Compatible Printers:HP P1560/1566/1600/1606 Series/M1536 Series,CANON MF4410/4412/4420/4430/4450/4452/4550/4570/4580 series ,IC D520/550 series, Faxphone L100, FAX-L150/L170/L190/L250 series Manufactured in an ISO9001 certified factory to meet international standards A professional print expert team is taking care of your concern. All inquiry and request will be replied in one business day via Amazon message.